The Affordable Care Act (ACA) was passed by Congress and signed into law on March 23, 2010. The Affordable Care Act (ACA) has ten sections or Titles. A brief outline of each Title, as well as the full text of the ACA can be found at The Affordable Care Act, Section by Section. The provisions of the ACA are being phased in over four years. On October 1, 2013, open enrollment in the Health Insurance Marketplace through HealthCare.gov began coverage starting January 2014. You can view the full text of the law on https://www.govinfo.gov/. If you previously purchased a plan through Healthcare.gov, your insurance company should have sent you information on renewing that plan. The open enrollment period begins November 1, 2018, and ends December 15, 2018. Policies purchased between November 1, 2018 and December 15, 2018 will become effective January 1, 2019. After the initial open enrollment period, new policies purchased before the 15th of the month will be effective the first of the next month. Policies purchased after the 15th of the month will be effective on the first of the 2nd following month. For example, if you purchase your policy on February 20, your policy will be effective April 1, but if you purchase your policy on February 14, the policy will be effective March 1. Each year there is an annual open enrollment, just like there is for Medicare Part D or for an employer's health plan. The official web site is Healthcare.gov. Do I have to have coverage? You are not lawfully in the United States. You filed for bankruptcy in the past 6 months. Poverty, poverty levels, or the poverty rate is calculated several ways by the federal government. The Census Bureau caluclates poverty levels for determining the number of people living in poverty. That information is here. The Department of Health and Human Services calculates US Federal Poverty Guidelines. The full explanation and charts for the most recently available year are here. The US Federal Poverty Guidelines for each year are published in the Federal Register, usually in January of the year covered. This isn't the same as coinsurance, in which you pay a specific percentage of the cost of a specific service. Moving can be stressful, but enrolling in a health plan that suits your new life doesn’t have to be. If you’re moving, whether out of state or within your current state, you may be able to get Marketplace health insurance coverage with a Special Enrollment Period (SEP). This means you can enroll in or change your plan outside the annual Open Enrollment Period. In most cases, you’ll have 60 days from your move date to enroll in new coverage or change your plan. Depending on where you move, you may have new options, prices, and savings available to you. Not sure if you qualify? Answer a few quick questions and Healthcare.gov can tell you if you qualify and explain how to apply and enroll. Did you know that life changes like moving, having a child, turning 26, losing your coverage, or getting married may qualify you for a Special Enrollment Period? Even though the open enrollment period is over, you may still be able to get 2015 coverage if you’ve experienced a life change recently. Important: If you qualify for a Special Enrollment Period, you’ll have 60 days from the time the life event occurs to enroll. 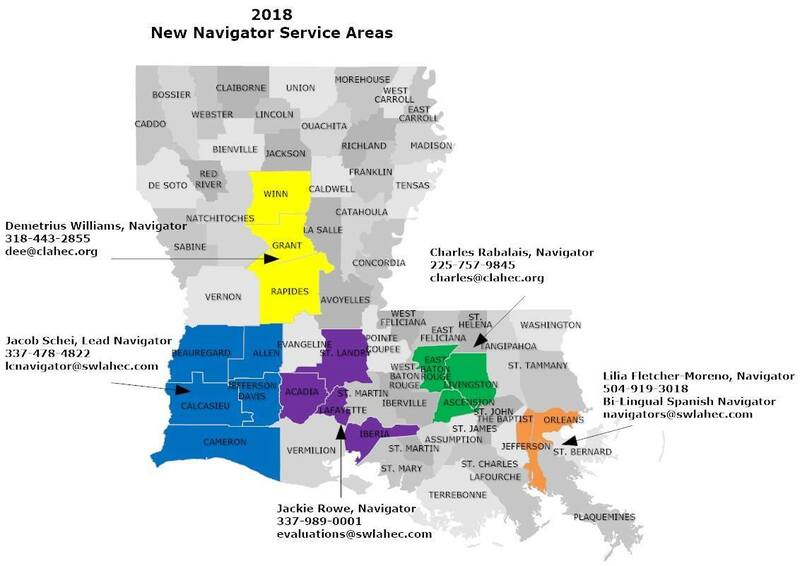 Navigators for a Healthy Louisiana is the Official Louisiana federally-facilitated marketplace. If you have job-based health insurance you like, you can keep it. You may be able to change to Marketplace coverage if you wish. You can ask your employer if it plans to offer health insurance. If not, you may need to get insurance through the Marketplace or from other sources. If you do not have health insurance coverage, you may be subject to the fee (which will reduce any tax refund you are owed).